The occupation of the American mind (4/5/16) is a documentary on shown on the Russian live video streaming channel RT - On air. This documentary is evidently produced by someone other than RT. Due to 'copyright restrictions', this show cannot be found and watched like other RT shows and documentaries. It can only be watched live at times scheduled by RT – 3:29pm, 1:30pm, and 10:28pm GMT on 4 May 2016 and at 3:29pm and 10:29pm on 5 May 2016. This documentary shows the history of the Palestine/Israel conflict and how the American mass media has been unfairly biased against the original inhabitants of Palestine and in favour of the Israeli settlers in its coverage of some of the critical episodes in that conflict. After the establishment of Israel on stolen Palestinian land in 1947, more Palestinian land was conquered in the war of 1948 and and again in 1967. 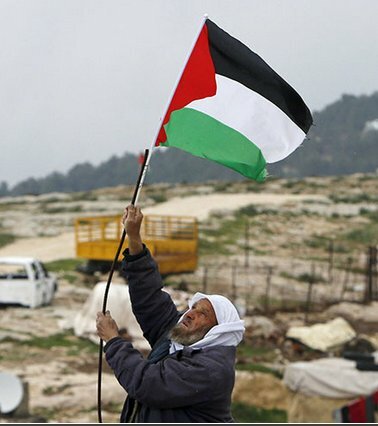 Subsequently the Israeli conquerors have attempted to deny Palestinian inhabitants basic democratic rights, stealing their land and allowing imported Jewish settlers to build housing on that land. This documentary fails to propose a solution to the Palestine/Israel that would bring about peace. If peace is to ever again to come to that region of the Middle East, a solution is needed. In part, at least, such a solution needs to accommodate the needs of all the inhabitants of that region: Palestinians and the surrounding nations - Lebanon, Syria, Jordan and Egypt - as well as the Israeli settlers. Unless the producers of that documentary believe that all 6,199,000 Israeli Jews should be sent back to where they came from or driven into the sea, it does not propose any solution. Israel's past and ongoing treatment of Palestinians is clearly a travesty of justice. However, no less unjust was the conquest of North America by Europeans from the 16th century onwards or the conquest of Australia by English settlers after 1788. If it were somehow possible for the descendants of the original inhabitants of North America or Australia to take back their unjustly stolen land, it would be a catastrophe for tens of millions of the current inhabitants of those lands. So too would the return to Palestinians of all land stolen from them since 1947 be for the 6,199,000 Israeli Jews now in that land. During the Six Day War, Israeli war planes sank the USS Liberty and attempted to kill all survivors. Only the presence of witnesses aboard a nearby Soviet warship prevented the Israeli war-planes from machine-gunning all the survivors in the water. The only plausible explanation that I can come up with for Israel's attack on the ship and crew of a nation supposedly allied with it and the subsequent attempt by United States' President Johnson to cover it up, is that President Johnson planned to blame Egypt for the sinking of the USS Liberty and use that as a pretext to join Israel's war against Egypt. Solely through an understanding of this ruthless act by Israel, can its treatment of Palestinians and other countries in the region, including Syria, Iraq and Iran be properly appreciated. Given that Syria has been the most steadfast supporter of the rights of Palestinians, whom the documentarypurports to support, and given that the current Syrian conflict is close to the centre of current global geopolitics, the failure of this program to mention that conflict is a startling omission.